But Truck isn’t simply about the Manics; not by a long chalk, nor for the few who’ve travelled distances longer than the 50-odd miles from peripheral Chiswick to Junction 13. And so our weekend begins with outré east London quintet Pumarosa, who shower themselves in glory as giddy drizzle bedecks the stage. “I love the rain!” Isabel Munoz-Newsome muses, her patter admittedly much less convincing than her onstage manner, as she channels the concentration of Jehnny Beth into a half-hour bestrewn with ingenuity. Lion’s Den, for instance, hints westwards toward Portishead, establishing the band as natural left-fielders; as natural outliers, if not outsiders among otherwise standardised indie (both by numbers and, alas, in great number; see, if you must, Catfish and the Bottlemen, Circa Waves, Swim Deep and so on) and leavers hoodies. However, it’s Priestess – the ostensible “rain dance” moment, its movement lissom as the winds swirling around Hill Farm – which stands resolute; a great union of British idiosyncrasy and eccentricity, and out-and-out accessibility that, for one reason or another, therefore recalls Factory Floor. Saxophonic interjections displace Nik Colk Void & Co.’s uncompromisingly motorik grindings, Munoz-Newsome writhing around on the floor all the while, but in short, it’s a set that doesn’t strictly play out like an early afternoon do. And, in truth, they shouldn’t be occupying such lowly spots for much longer, either. Not even of remote interest, meanwhile, are Hooton Tennis Club, whose concertedly lackadaisical racket serves as little other than an unapologetic reply to Parquet Courts’ slacker crap. Which, once considered the number of cultural forebears their Brooklyn contemporaries have already ripped off, becomes all the more so. The Wirral four-piece thus seem beyond derivative, when their transatlantic counterparts are already well beyond derivation, becoming mere parodists in doing so – something that their interpolating I’m Waiting for the Man into something or other, some thirty minutes in, certainly attests to. The Magic Gang, on at The Market Stage subsequently, are then met with outright rapture, but it’s outrightly unmerited. Because they too are beyond ordinary and, incidentally, at times sound deplorably Ordinary Boyish. “All I really wanna know/ Is how I got all this way on my own,” they pose at one point; “I’m trying to find out” their reply. And their apparently positive repute truly does remain a mystery; to me, at least. Equal parts Richard Ashcroft and, again, Preston’s troupe – despite hailing, perplexingly, from Sydney – are the grammatically maddening DMA’s, for whom the likes of Delete, Laced, and Lay Down don’t solely endear, but so too pertain to a skinheaded Madcunian tenderness. Timeless? Maybe not, and make no mistake: this is mere derivation once more. But it’s strangely invigorating stuff, all the same; pangs of The Twang, ’n’ all. Which is more than can be said for Egyptian Blue, about whom the less that’s said the better, for in a barn that’s presumably destined to forever reek of silage, their sludgy dross stinks. Although the attitude that’s adhered to more or less universally at Truck is truly excellent: more community-minded than a simply pecuniary venture, the chips (plus other foodstuffs) are cheap, people committed, and from black-bagged hay bales being mistaken for tour buses to crowd-surfers’ Next briefs being on full display, there is an innocence to it, too. So when Jurassic 5 (who, inclusive of Cut Chemist and DJ Nu-Mark, number six) implore limbs be lifted aloft, their demands are readily, willingly met. Truck thus feels like a festival for, and catered to, a local community more than anything, or anyone else, as most once would’ve been. And there’s something pure – if comparatively simple, perhaps – to it for that fact. Similarly, Orchards’ prog-programmed rumpus is well received in The Barn, their scrupulously composed sound bounding about with bluebottle delirium. And, as their half-hour progresses, they attract outside stragglers like flies to the metaphorical. 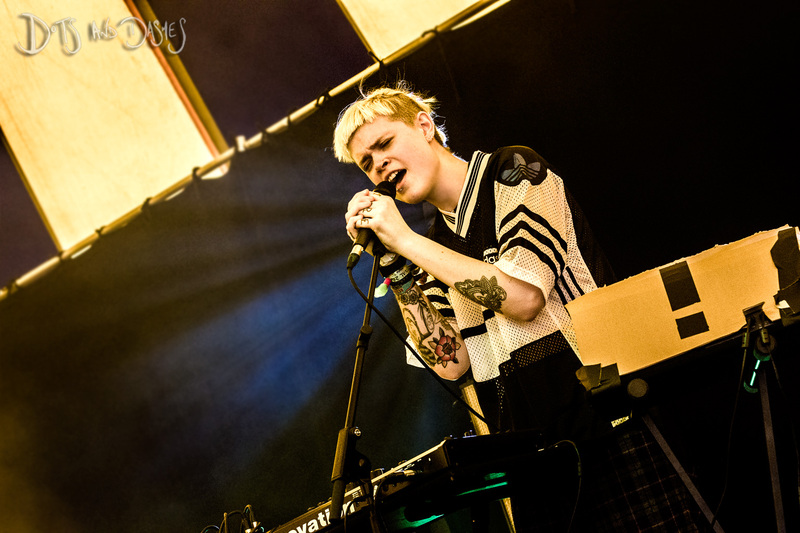 Then, Esther Joy Lane – whose set was among those I was most looking forward to – is marred somewhat by the fascination engendered by a V 2004 T-shirt, promoting an unfeasibly brilliant line up. Likewise, Joy Lane impresses, her brand of ‘post-apocalyptic fairy jazz’ mysterious as the contents of a box, branded with an exclamation mark, with which she fiddles sporadically. But it’s less visceral a trip than that which takes us down lanes of a more cerebral variety, prompted by such names as Chikinki, GLC, Jamelia, etc. ; ephemeral reflections of Olive’s You’re Not Alone and Delerium’s Sarah McLachlan-led Silence lassoing us even further back into the annals of time. It’s these – or those improbably presided over by The Futureheads et al. – by which Virgin Kids were seemingly inspired, and to these which they’ll surely be confined soon enough; by contrast, Hudson Scott – equal parts Mac DeMarco and Arthur Russell – looks to have a bright future ahead of him, with Gone and the altogether more scintillating Panning For Gold the incontestable standout performers. 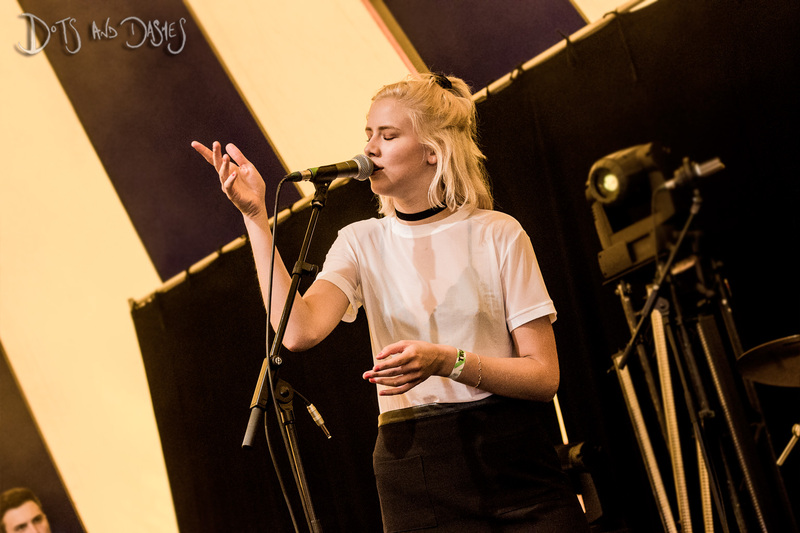 But, away from The Truck Stage, it’s Norwegian siren Dagny who fits this particular bill, her perfectly crafted alt. pop songs delivered with unwavering panache. 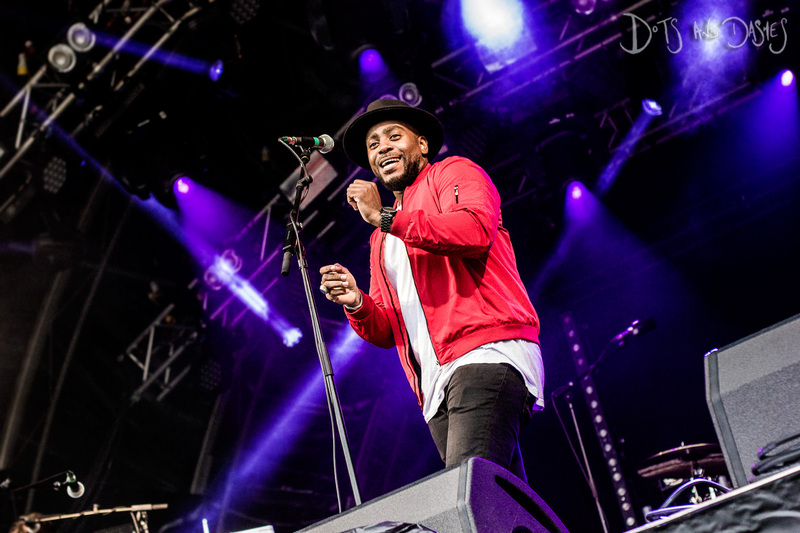 Granted, Fool’s Gold may be that little bit dull, dulled by an unnecessary smattering of invasive backing vocals; but it’s loved, many having “learned all the words,” regardless. At which juncture, the main event, or the Manics are upon us; not literally, obviously, although the amount of memorabilia brought out in their honour stands as testament to their abiding distinction. 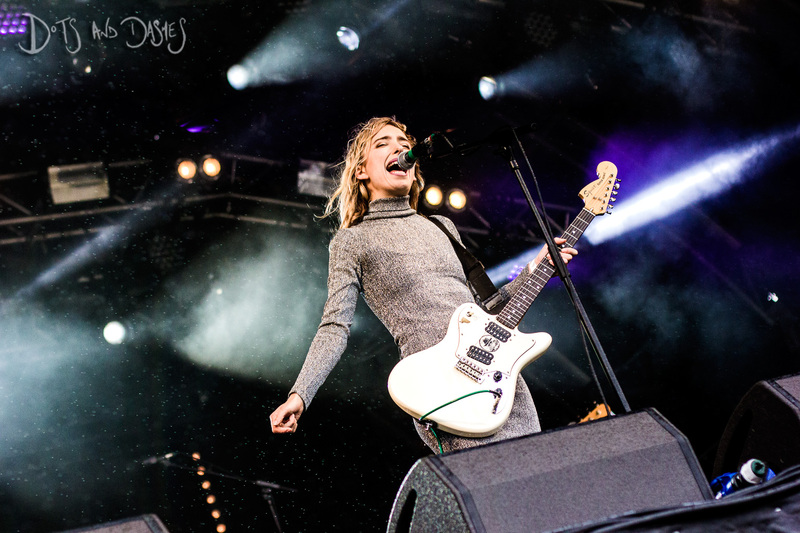 And if there may be bigger, more committed audiences for the likes of Circa Waves and Rat Boy before them, as engagé anthemists for lost causes, this almost plays in their favour. 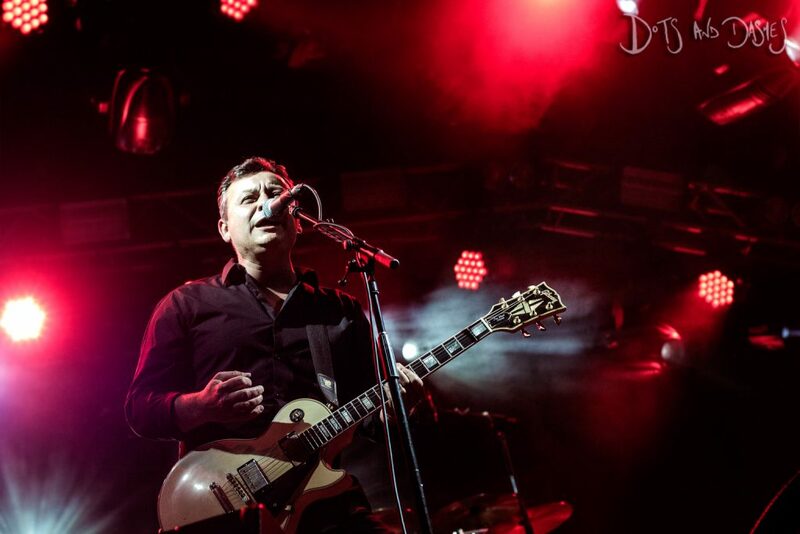 For although they may be utter relics compared to most in attendance – something that James Dean Bradfield is cognisant thereof, recognising that many born during, if not after “the Britpop era” will “only know two of our songs” – a career-spanning seventy-five minutes goes all the way toward demonstrating how and why they, and their allure, has endured. 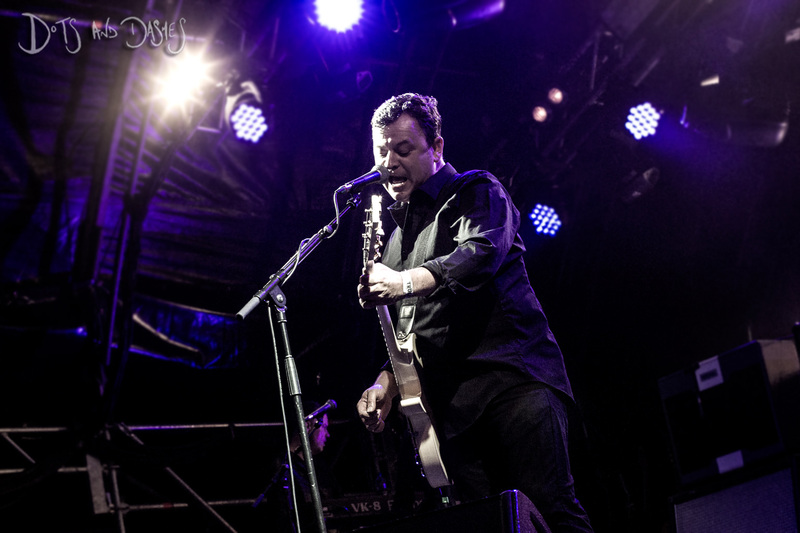 Motorcycle Emptiness – spry as you like – kicks things off, Dean Bradfield hoisting Nikes high, before they run through songs from nine of their twelve studio albums. (As has been their wont this year thus far, The Holy Bible, the immoderately maligned Lifeblood, and Journal for Plague Lovers are left firmly shut.) Perhaps unsurprisingly, it’s those more anodyne (and largely parenthetical) singles like La Tristesse Durera (Scream to a Sigh), (It’s Not War) Just the End of Love, and Your Love Alone Is Not Enough which garner the greatest response, the lattermost “all that [the denarian in front] wanted to see.” He’s long gone by the time The Masses Against the Classes comes around, and there’s some mild irony in their selecting the 2000 single, in that although there aren’t masses in attendance, many will be back in classrooms come September. But personally, belonging to the ‘Millennial Generation’, it was the sort of insurrectionary, no-messing song that my enamourment with the band was first built upon; the Noam Chomsky quote, “The country was founded on the principle that the primary role of the government is to protect property from the majority, and so it remains”, with which it begins of course couldn’t be more relevant today. And it’s the hyper-politicised section that also comprises If You Tolerate This Your Children Will Be Next and, for the first time in several, 30-Year War that is so central to tonight’s set and setlist alike. Before a field of teens, with some oblivious kids sat atop parents’ shoulders, the former somehow manages to assume infinitely more gravitas than ever before; the latter, conversely, hears Dean Bradfield vicariously relay Nicky Wire’s lamenting “the endless parade of Old Etonian scum lin[ing] the front benches,” rhetorically questioning, “What is to be done?” reiteratively. This less-than-standard concession to commenting on the mess the country descended into late on last month, forming part of Dean Bradfield’s long-since standardised acoustic interlude, is as close as the Manics have come to voicing an opinion on the referendum. (Wire said of his vote, prior to its being cast, that “that’s between [he] and the ballot box.”) Which, for so historically ‘hyper-political’ a band, is something of a surprise in and of itself.